Hello Everyone. I hope you all enjoy this great giveaway. That the Blogging elite are hosting. Also please feel free to come join us on Facebook here. It a fun group of ladies. We have fun talking about things and sharing blog idea. Enter the giveaway using the Rafflecopter below. There are tons of ways for you to enter, and you definitely don't want to miss out on these prizes! The giveaway is open from Monday, January 19th until the end of the day on Monday, January 26th. Good luck! 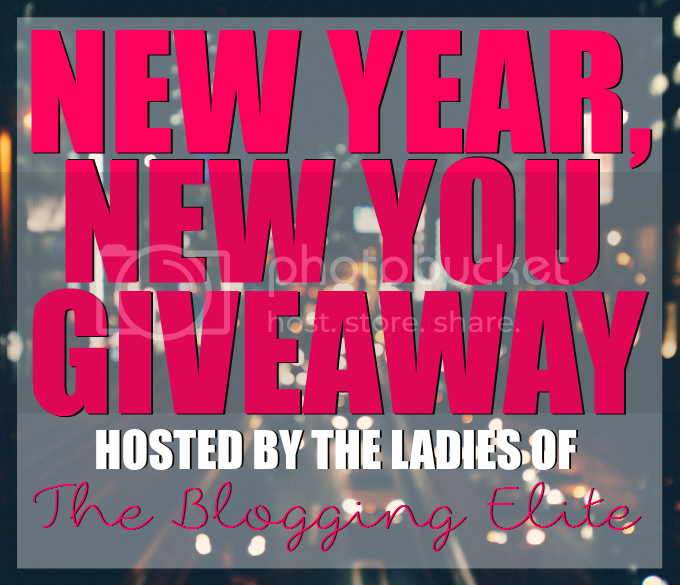 A new year is all about new beginnings, and if you're trying to create a new and improved YOU in 2015, then the ladies of The Blogging Elite have exactly what you need! of ways for you to enter, and you definitely don't want to miss out on these prizes! The giveaway is open from Monday, January 19th until the end of the day on Monday, January 26th. Good luck! Hello Everyone. Today I'm here with a sponsored giveaway from Darcus Tori. One Lucky winner will win a 24 inch Figaro Neck Chain Italian Sterling Silver. This giveaway is only open to United State Residents Only and must be 18 years old to enter. Giveaway end on August 21, 2014. Good Luck Everyone. Hello Everyone. Yesterday marked my 4th year of blogging. When I start this blog back in 2010. I had no clue what I was doing. All I knew was I want to show the world my outfits. Also show woman that you can dress cute and stylish on a budget. So I started taking pictures of my outfit in the bathroom with my iPhone in my closet mirror and then moved to floor mirror. When I moved to Michigan. It only took me 3 years to invest in a better camera and got some help with taking my picture. In the 4 years of blogging I have meet so many great bloggers and became friends with a good amount of you. Which with out your guys support I probably wouldn't be here today. I can't thank you enough for your support you give me every day on my blog and social media. Also thanks to everyone who stops by my little blog everyday to read it. I'm very thankful for all the support I get from everyone who read, comments and stops by my blog. When I started my blog I had no clue that I would have it for this long. I can't wait to see what the next year of blogging will bring me. With these last 4 year of blogging I have learn a lot about myself. The biggest one is you don't need to buy new clothes all the time. Before starting my blog I had a big problem with thinking I needed new clothes all the time and that I had nothing to wear. I did my first 30 for 30 in 2011 and it was a real eye opener. It truly help me realized that I don't need new clothes all the time. In fact in 2013 I went after a year without buying any clothes. To celebrate my Blog Birthday. I have put together a small giveaway for you all. With a few of my favorite things. One person will win a 25 dollar gift card to Old Navy. Which is one of my all time favorite store to shop in back in the state. Also you will get a mint green scarf that has birds on it. If you been reading my blog you know my love for scarf. No giveaway is complete without some German gummy bear and my favorite ritter sport bars. Disclaimer: sponsored giveaway from The Salon Outlet. Hello Everyone. Today I here with a sponsored giveaway from The Salon Outlet. They are giving one of my lucky readers there chance to pick a 70 dollar item for there shop. This giveaway is only open to United State Residents Only. Here are a few of the items I like from there site. 12 piece makeup brush set in pink. Shane Birthday Extravaganza. $700 in prizes to 7 lucky winners! Shane Of Whispering Sweet Nothing. Hello Everyone. I have team up with Shane Of Whispering Sweet Nothing and 28 other bloggers in doing a fun birthday giveaway. Shane will be turning 22 on May 6. So make sure you stop by her blog on May 6 to wish her a Happy Birthday. Online music lesson + $15 iTunes + $10 TCBY Blogger Shot Caller Custom blogger premium design + $40 Paypal Cash Blog so hard 3 months large ad Gentri Lee + $30 Olive & Ivy Designs + $15 Clarke Creative HAVE A GREAT SATURDAY. Hello Everyone. I hope you all had a great weekend. My weekend was nice and relaxing. Since the weather has been so nice here. I decided to pulled out this teal racerback tank top to wear today. Since I haven't worn in it in 11 month. I also decide that even tho it springtime. You can still layer. So I add this beige ruffle vest. This giveaway is open to US, Canada, Australia, New Zealand, Ireland, Austria, Belgium, Denmark, Germany, France, Finland, Netherlands, Luxembourg, Malta, Norway, Portugal, Sweden, Switzerland, Spain, Greece, Italy, England, UAE, Bengal, Argentina, Pakistan, Brazil, Russia, Peru, Mexico, Ukraine and Israel, Oman, Kuwait, Egypt, Qatar, Bahrain, Latvia, Romania, South Africa, Saudi Arabia, Jordan, Syria, Czech, Iceland, Slovakia, Slovenia, Papua New Guinea, Singapore, Malaysia, Thailand, Philippines, Hong Kong, Macau, Taiwan, Korea, South Korean, Japan, Vietnam, Cambodia, Mongolia, Indonesia, Poland, Hungary, Turkey and India. Happy Saturday. I hope you all have a great one. Hello Everyone. I'm back from Paris. I had an amazing time. I have over 1200 pictures to go thru. So next week will be Paris week. So get ready for tons of post on my trip. Now that I'm back I have to get back to my normal life. So it will take my a couple days to get back in to my read schedule again and posting schedule. As a welcome back. I have team up with two fabulous blogs to host a giveaway. A 20 dollar gift card to Forever 21 and a 25 dollar to Old Navy. My favorite store. Which I just order a few things from there before I left. To enter the giveaway. It on the side bar. I also want to thank the fabulous blogger who filled in for me. Ada From Elegance and Mommyhood. Hello Everyone. I made it thru 30x30. This also will be my last outfit post for awhile. Since I will be getting ready for my mini vacation I have coming up. Plus I want to get caught up on my monthly post. To end 30x30. I have a giveaway for you all. Sponsor by Firmoo. They are giveaway 5 store credit to there store. That are worth 30 dollars. If you win you get the pick up glasses from HERE. Also don't forget to check out yesterday post on my Firmoo Review. Hello Everyone, Today I thought it would be fun to share some of my favorite thing with you all. Also you can win some of my favorite things too. Giveaway is open yo worldwide. ~Kraeuterbutter~ Love this butter on everything. When I was in a the state a friends brought me 2 things of it back to me. From her visit over here. I was so thankful. ~Scarf~ I love wearing scarf and finding new way to wear them. If you been following my blog for awhile. You know I have worn scarf as headbands, neck ties and belts. ~Berets~ On of my new favorite items. I love wearing these hat. I just got 2 new ones. Which one is a pink one. Just like the one I'm giving away. ~Earring~ I love wearing all different and fun earrings. ~Nail polish~ I love wearing fun polish on my nail. Which I now have my whole collection nail polish back that I had in the state. I can't wait to play around with it all. My all time favorite color is Pink. One winner will win a Colorful Scarf from Takko Fashion, A pair of Pink heart&Gem Stud earrings from Takko Fashion, Pink Beret from Wicky and also my two favorite candys. Everything for this giveaway was purchase by me. Hello all, I just got over having the stomach flu. I was going to have an outfit post for you all today but I called off work yesterday. So no outfit post for you. 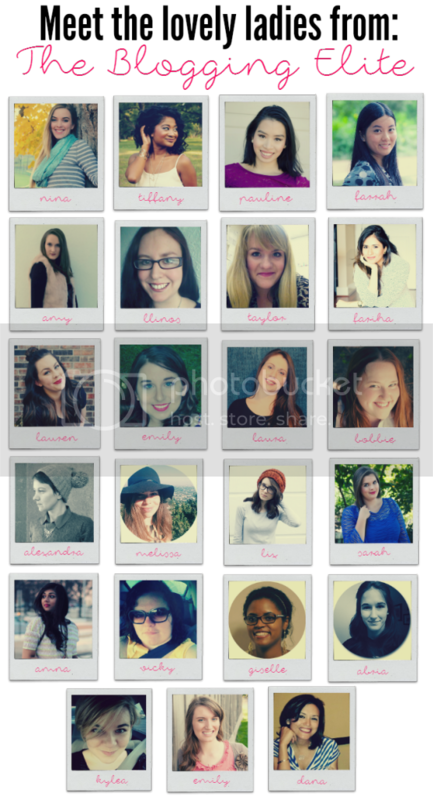 I do have this amazing contest to share with you all that eShakti is hosting. The winner will win a 150 dollar gift card to eShakti. The contest ends in 2 days. March 15th. Also don't forget to you can get 20% off of eShakti by using MYFSN52 Until March 20th. So having fun and go shopping. DISCLAIMER: I'M NOT GETTING PAID TO SHARE THIS WITH YOU. Congrats to Mercedes you won the Mint Green Princesses Bracelet. Thank to everyone. Who entered this giveaway. It was the biggest turn out I have had. Thanks again. Hello all. I have been working with Fancy Steps in hosting a giveaway for you all. I was so honor when they reached out to me to host this giveaway. One Lucky reader of mine will be winning this lovely Mint Green Princesses Bracelet. You should all be proud of me that I pick the mint green one and not the pink one. The giveaway will be one month long. It starts today and end on July 13th. The only mandatory thing you have to do to enter this giveaway is you MUST Follow me thru GFC. The join this site button is on the left hand side. There is extra entry to win also. Just click on the Rafflecopter to enter to win this bracelet. Also if you have time you should defiantly go check out Fancy Steps Website. They sell shoe, jewelry and clothes. For a really good price. Also they Jewelry is awesome. I have a Pink Circle Necklace from them. Hello All. I entered Priscilla in April M Jewelry cutest dog contest. I would love it if you could vote for her. To Vote you must like April M Jewelry Facebook page first. Then you can cast your vote. Also its not to late to enter your own dog in to the contest. The contest end on June 9th. The winner wins a Sterling Silver Celebrity Necklace. if you haven't checked out April m Jewelry you should. bessie Of bravoe runway has featured her jewelry and tons of other Fabulous bloggers have. Also if you don't read bessie blog. you should she has amazing taste in clothes. also if you want to see how i got priscilla click here. you can also check out doggie fashion 101 here. Disclaimer: I'm not getting paid in any way to post about this.